Whether it’s that loosely connected “friend” who’s faded off into obscurity, or brands looking to make the biggest impact, Facebook’s EdgeRank holds all power of visibility. While we’ll never know the true mechanics behind the ultra-secret formula, there are a few key steps that can greatly improve your overall Facebook exposure. If I lost you at Sigma, fear not. Let’s break this algorithm down into pieces and see if we can’t figure out how it all adds up to who, how often, and when you see (or don’t) news in your News Feed. Before looking at the individual pieces of the formula, it’s important to understand what an edge is, and how you create one. In order to provide a balanced equation, Facebook views all input as “objects.” Meaning, Status Updates, Pictures, Videos, Links, etc., these are all objects for Facebook to consider. For the purpose of defining what can be edged, these objects are all the same. Now that’s not to say that some objects won’t have a higher likelihood of becoming edged, but more on that in a minute. The minute that you or your brand creates an object on Facebook, an initial edge has already been made. Each successive time a friend or a fan interacts with this object, an additional edge is created. Liking an object, tagging a photo, leaving a comment, these are all edge generators. So why is it that some of my status updates go unseen by others? More on that in a moment, but remember, Facebook is in the business of clicks (amongst others). How many times have you clicked on that tiny thumbnail in a friends’ news feed to view the image vs. clicked through to the friends’ page to view their status? Now that we’ve ascertained the fundamentals behind what creates an edge, it’s time to look at the secret sauce pictured above. While no one other than Facebook insiders knows exactly how the algorithm functions, The Daily Beast undertook a study in 2010 to put the mechanism to the test, and discovered a number of valuable insights that we can use to guestimate how EdgeRank functions. As the formula notes, Sigma, or EdgeRank, is composed of three primary components; Affinity, Weight, and Time. Think of Affinity as friendship bracelets. The more bracelets you give to a particular person, the more often you’ll likely see them; in the school hallway, at lunch; perhaps the two of you even walk home together. It’s the same story with Facebook’s Affinity score. The more often you like, view, comment, click on a friend’s object, the higher your Affinity score towards this person rises. Likewise for brands, the more often you check in with Red Bull, either via commenting, liking a photo or two, etc., the more Red Bull-centric your News Feed will become. It should be noted that according to The Daily Beast’s research, Affinity score is a one-way street only. Affinity is from one user towards another, and not vice versa. Meaning, even an army of Acme Toilet Cleaner Facebook marketers can not command more attention on the platform simply by clicking incessantly on fans’ items in order to gain more exposure. A particularly noteworthy item for marketers: as it would appear Facebook also relies on ye old adage, Content is King. When it comes to edges, Facebook places a great deal of importance on weight. Remember, to Facebook, eyeballs=revenue. 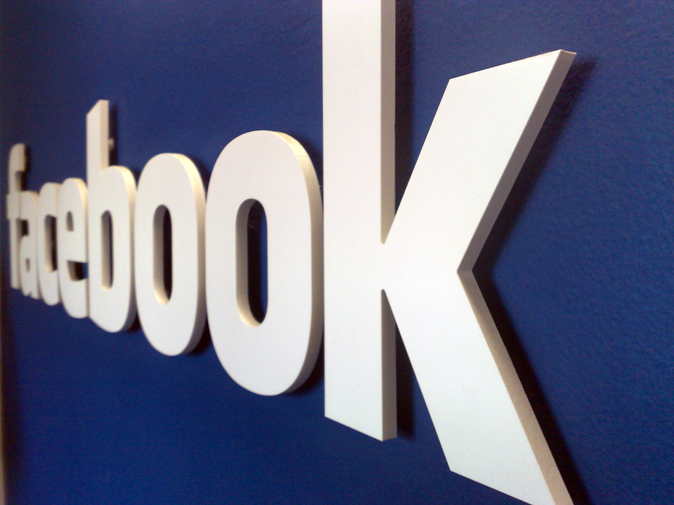 The longer an end user engages or interacts with content, the better it is for Facebook. Thus, Facebook applies a Weight to each object to help determine the object’s overall, you guessed it, EdgeRank. But it’s not just the posted content that factors into EdgeRank. Remember the Affinity score above? How many photos did you “Like” today? And how many images did you leave a comment on? And there we have it – the comments. Comments are the single most valuable factor in an object’s EdgeRank. The Facebook reasoning here is engagement. Meaning, it takes much more effort on the end users’ part to type out a comment than to click a “Like” button. A side note: Ever notice how a politically charged image, or even status update can generate what seems like a never-ending forum of back and forths? If you or your brand has the perseverance and conviction, go ahead and throw out some thoughts on the upcoming presidential race, and watch the comments roll in. Having said that, political comments can, and often do, lead to polarization, so use at your own risk. No one likes to read yesterday’s news, and Facebook knows it. In order to remain up-to-the-minute relevant, Facebook wisely employs a “freshness” factor to all edged objects. It’s this “freshness” factor that helps determine what and when you see it. Before anyone sends me another “Facebook is blocking which friends news I see in my news feed, sign my petition,” invite, I usually ask them which friends’ news has specifically not shown up in your news feed. 9 times out of 10, I’m greeted with the blank stare. Facebook is keeping you engaged with their system by presenting you with the most relevant information based on your regular habits. If they didn’t, chances are that you might miss something of value, and/or just become bored with, or perhaps worse, overwhelmed by the non-stop, all-the-time, all-the-news, news, and ultimately migrate away from the platform; a disaster for Facebook. *If you’re really interested in what that 10th grade “friend” is up to, go visit their page, nose around and comment on a few pictures, videos, etc., and see if that friend doesn’t start appearing a bit more frequently in your News Feed. Even the perfect 3D-directed by James Cameron- 30 second spot can’t penetrate users’ walls if they’ve previously not interacted with your brand. Chances are if you’ve got James Cameron on board, your spot is going to take on a life of it’s own, but you get the point. To marketers, or individuals that use the Facebook platform as a personal branding tool, a users’ Affinity towards your brand is key. It’s also not a coincidence that Coca-Cola has over 13,000 photos on Facebook. Gaining traction with your fan base can be done in a variety of ways, but when viewing at the EdgeRank factor alone, crafty marketers know that it’s all about the Like and the Comment. So whether it’s your personal or brand account, Facebook’s EdgeRank is something to always keep in mind. It’s great that you’re featured in some users’ feeds (Hi Mom!) but who doesn’t love being noticed? Comments appear to get the most amount of attention from EdgeRank, so if you’re looking to up yours, and ultimately start appearing in more friends, and fans, News Feeds, get the conversation rolling!